Whew! It has been a long week of training, and I am glad we can sleep in tomorrow and have a day off from structured studies. Our CBT group is planning to go see Volubilis, a former Roman settlement in Morocco that is not too far from our village. The weather report for tomorrow says it will be cold but clear, so it should be a great day for a good long walk around the settlement. One of the challenges I experience here is that I don’t have much opportunity to exercise in my usual fashion. In many parts of Morocco it is viewed as inappropriate for women to exercise publicly. Our village definitely adheres to this cultural norm, so I have not gone running since I arrived, and am not sure if that will happen over the time we are here. Fortunately, I have been able to go for a noon-time walk several days this past week, and I am eager to have a more physically active day tomorrow. Our Darija lessons continue to go well. This morning Taoufik made a list of all the grammar and language topics we covered this week and it was rewarding to see how much we learned, even if my recall of all the vocabulary isn’t as sharp as I want it to be. 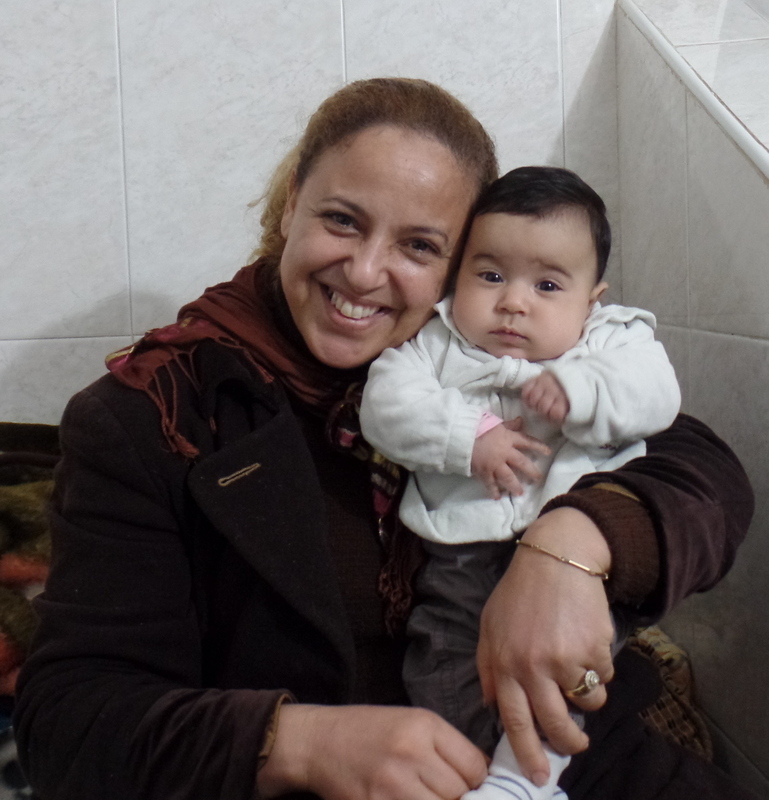 The title of this blog post, ‘shwiya b shwiya’ means ‘little by little’ in Darija. It is my motto for how to learn this language, and really how to learn to live here overall. Emma (Auntie) Zakia and the visiting baby. Our host family had relatives visiting this week, including two young children, Neda (a girl of 7) and Amin (a boy of 5), as well as a 2-month old baby girl. I definitely got my ‘kid fix’ each evening, and we greatly enjoyed practicing Darija with Neda, who found my and Thomas’s pronunciation quite amusing. 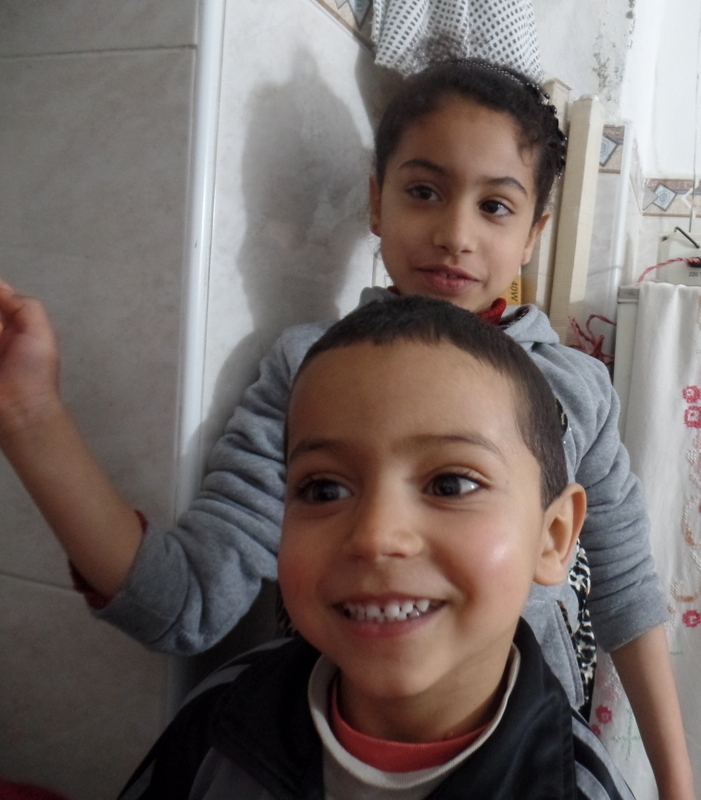 Neda and Amin–Moroccan children are pretty darn cute!! 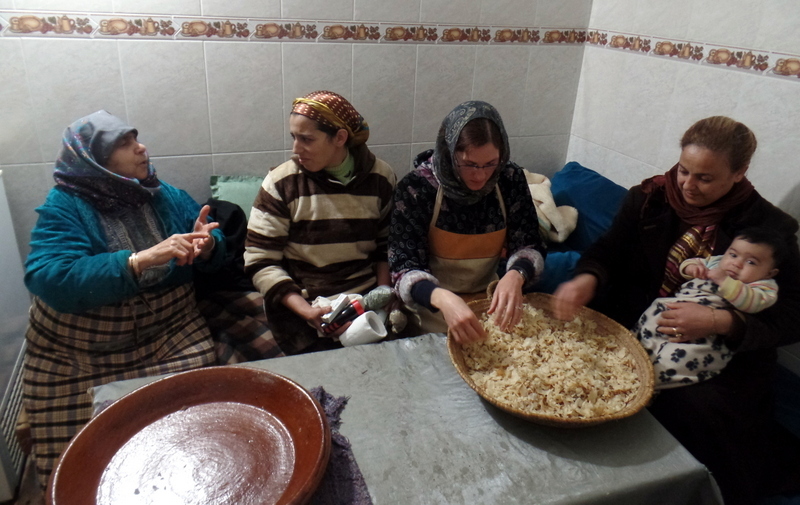 The other ‘happening’ of the week was that I was invited by Lala Fatima to start helping with meal preparation–hooray! And apparently I am proving my worth in the kitchen! 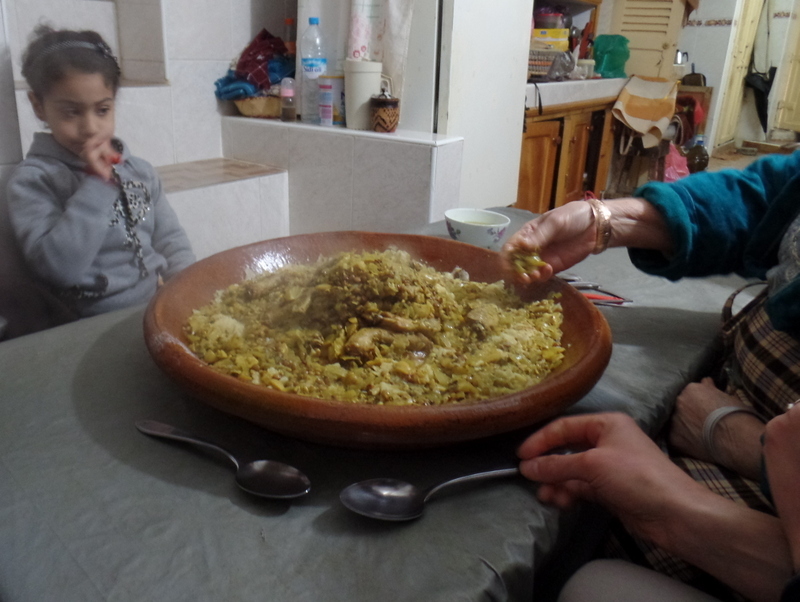 For lunch today I helped prepare a very elaborate meal called rfissa, in which we made melwi (Moroccan olive oil crepes), shredded them by hand and then served a chicken, lentil and garlic stew over top. Zakia told Thomas that my cooking skills would make me a valuable wife in Morocco. How’s that for high praise, right?! I could not be happier to end the week with this experience. Shredding the melwi–step 1,036 of the 2,753 total steps required to make rfissa. Left to right: Lala Fatima, Noelle, Erika, Zakia, and the Baby. Layla saida (goodnight), dear friends. Here is the original science paper developing it.